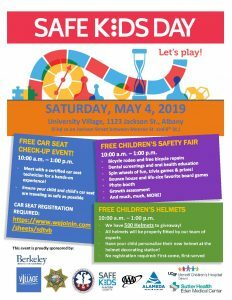 Safe Kids Day is on May 4th from 10am – 1pm. It will be at University Village, 1123 Jackson St. Albany. 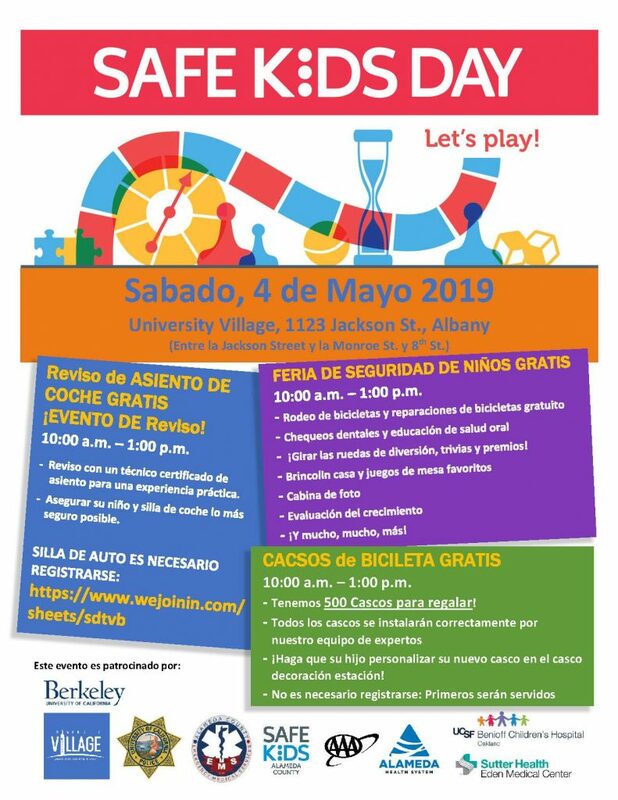 Learn how to let your kid play while staying safe! To volunteer, you must be 18 or older and complete this form. Click the flyers below to download them.